Check back often to stay updated on what's going on in our neighborhood. Las Vegas’ mid-mod homes don’t just look cool—they were built for the desert. Las Vegas Weekly 10.31.12. Photos of mid century modern bus tour of Paradise Palms and Las Vegas. Las Vegas Sun 10.29.12. Paradise Palms in Atomic Ranch Magazine. Paradise Palms begins nurturing its own identity. 5.31.2011. Moe Dalitz worked with Irwin Molasky to build the Boulevard Mall and Paradise Palms. 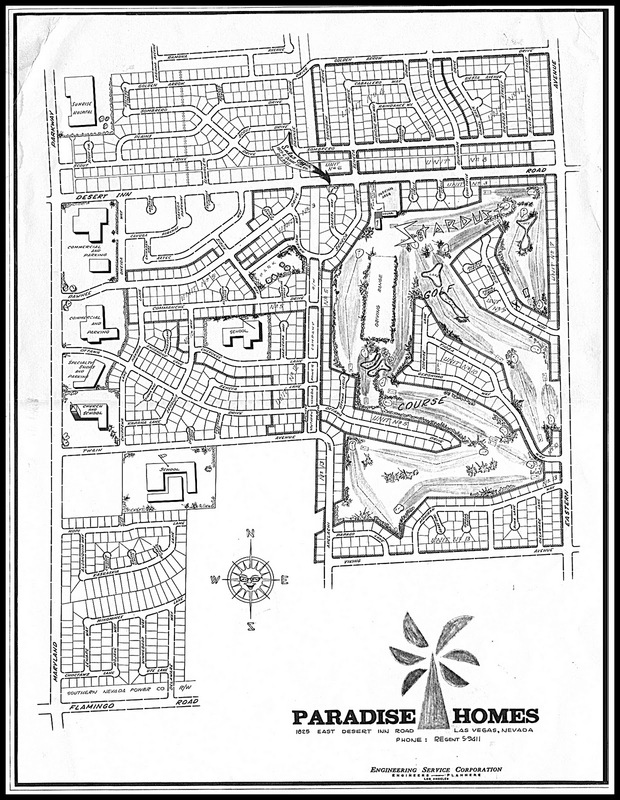 Paradise Palms is a Mid-Century Modern neighborhood in Las Vegas, Nv which is bounded by Golden Arrow to the north, Viking to the south, Maryland Parkway to the west, and Eastern to the east, surrounds what was once the Stardust Golf Course, today known as National Golf Course. The neighborhood was developed in the early 1960s by Irwin Molasky’s Paradise Development, which later built Las Vegas’ first indoor mall, the Boulevard Mall, on the western edge of Paradise Palms. Click the image for for information and to purchase tickets! Click here to report code enforcement violations. Click here for the Paradise Palms Facebook page. Click here for the list of influential Paradise Palms residents. Click here for Paradise Town Board Meeting Times & Agendas. Click here for Winchester Town Board Meetings Times & Agendas. Click here for photos of Paradise Palms. Clark County's Historic Neighborhood ordinance. Click here for map of Paradise Palms.